Home › Flooring › The truth about bamboo flooring – is it eco-friendly? The truth about bamboo flooring – is it eco-friendly? Are bamboo floors bad for the environment because they’re shipped from China? 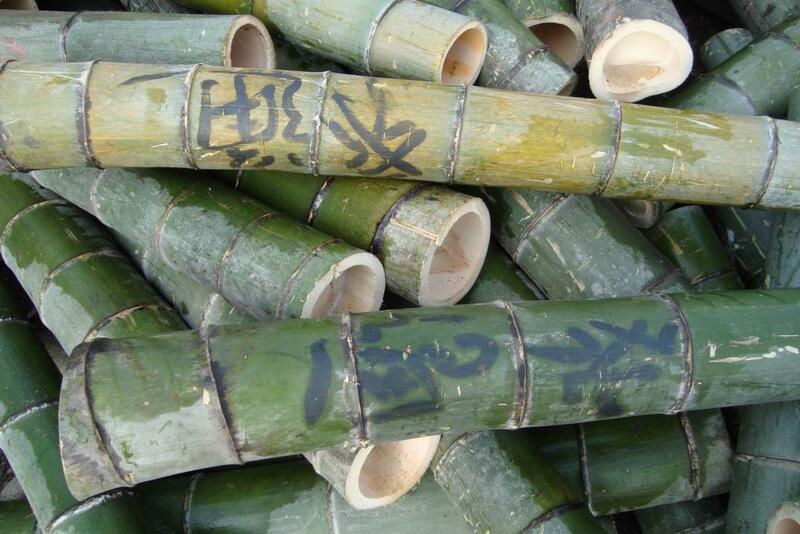 Are forests in China being cut down to make way for more bamboo farms? In this article, we’ll be exploring the eco-friendly nature of bamboo, with a particular focus on Ambient’s dedication to sustainability. We’ll discuss some of the ways in which we minimize our environmental impact, as well as describing the eco-friendly properties of in when compared to other wood flooring products. Eucalyptus and bamboo flooring are significantly more sustainable than hardwoods simply due to their rapid regrowth. They regenerate in 3-7 years whereas some hardwoods take 40-70 years! 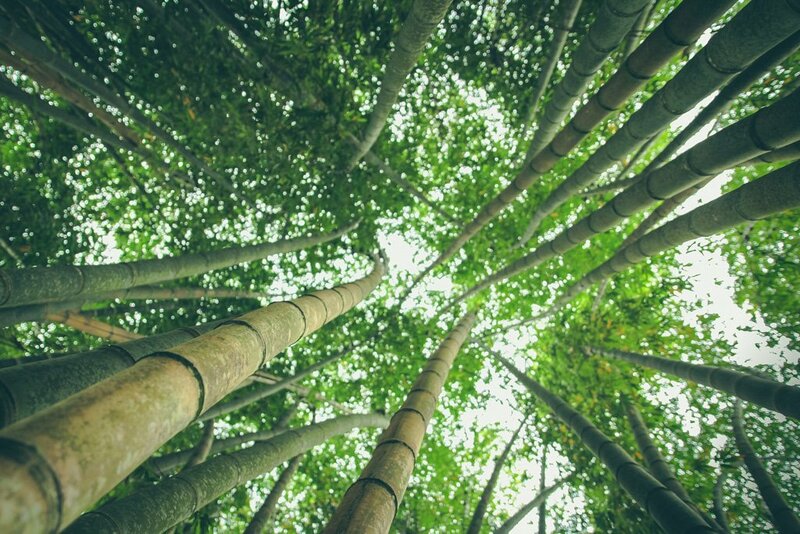 At Ambient we have the ability to source bamboo from FSC-certified forests and our eucalyptus is sourced from well-managed forests. The FSC (Forest Stewardship Council) is an independent, non-profit organization dedicated to promoting responsible management of the world’s forests. All of our is also Lacey Act certified. The Lacey Act is a United States law that bans trafficking in illegal lumber and plant species. If you live on the West Coast of America and buy an oak or maple hardwood floor, these will mostly likely be manufactured on the East Coast and transported via truck. Trucks can’t hold much product volume and use a large amount of gas to get to their final destination. Plus, they have to then travel back to their original destination, thus doubling their emissions and use of finite fuel resources. Ocean freight is a much more efficient way to ship goods, as some container ships carry up to 20,000 containers. When you do the math, the carbon footprint of each floor is actually considerably low. Bamboo floors made in China are made in factories located near to the coast and then shipped to the United States. Furthermore, when hardwood trees get harvested in places such as the United States, Canada, Brazil and Russia, a large portion of them are then shipped to China for milling and finishing, then shipped back to the United States to be sold. This greatly reduces any benefits of buying local hardwoods. Does Bamboo Flooring Impact Pandas? Consumers occasionally come to us with concerns about the effect that harvesting bamboo for wood flooring might have on China’s giant panda population. In fact, the species of so using it doesn’t affect their food supply. Furthermore, Ambient uses bamboo from the Zhejiang province of China which is not inhabited by pandas. Another worry that we hear of relates to potential chemicals that consumers fear may be lurking in bamboo flooring. The key concern seems to be related to formaldehyde, which is found in common household items such as paints, adhesives, building products, insulation products, fertilizers and some cosmetics. It is officially classed as a Volatile Organic Compound (VOC) but it’s only dangerous when found in high levels. High quality bamboo flooring contains little or no formaldehyde. Ambient floors formaldehyde emissions are less than .015ppm. The CARB Phase II standard requires under 0.05 ppm – this is the strictest indoor air standard in the world. The OSHA Air Quality Guidelines require less than 0.30 ppm of formaldehyde. Our flooring exceeds the European indoor air quality standards E1 and E0 which means our formaldehyde emissions are ‘effectively zero’. Our floors are also Floorscore Certified. As well as all of these verifications from overseeing bodies, we also carry out every year to ensure that our products are (and remain) safe in regards to off-gassing and chemicals. Whilst the same cannot be said of all bamboo flooring manufacturers, here at Ambient we don’t just make our products eco-friendly, but the packaging too. We try to get all products from our warehouses to your front door in an environmentally friendly manner. For example, the stretch wrap that goes around our delivery pallets is made from 3% post-industry recycled content. When you order sample products from us we mail them to you in packaging that’s been produced using eco-friendly methods. It’s fully recyclable, too! For larger orders we use biodegradable shipping boxes that are made from 35% recycled material. We reuse boxes where possible to cut down on our waste. Inside the boxes you’ll find various types of packaging material. Our corrugated packing is not only made from 100% recycled content but it’s fully recyclable too. You can’t really beat 100%! The packing peanuts that we use are FDA-approved and made from organic cornstarch, not plastic based materials. They decompose fully when placed in water, leaving no toxic waste. As you may have guessed, everyone at Ambient is incredibly proud of our company’s dedication to the environment and the professional accreditation we have received for this work. We have implemented various environmental objectives and targets within our company which we are fully committed to reaching. ‹ Is Bamboo Hardwood Flooring… or Is It a Grass?